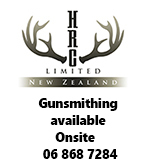 We have a large selection of new and used firearm parts and components available in store. Please contact us to discuss your requirements. Customising and Gunsmithing done on sight.